When you think of the word “home repair,” what do you think? Some people aren’t bothered by it, while some instantly think about calling up the professionals and having the job done. Yes, while some projects do require some professional assistance, there are so many jobs out there that you can do that your home will thank you for later. To give you a better idea what kind of projects that you can do around the house on your own, here are a handful you may want to consider as early as today! If you’re wondering how much it may cost to take on each of the projects, head over to http://www.howmuchisit.org, they have some great guides that cover almost every aspect of various home improvement projects and many others! In this DIY Home Improvement guide, we’ll look at 6 different repairs you may need to work on this weekend, versus waiting to call in a pro! Caulking is a job that many people don’t realize the importance of. Since you more than likely have windows, a tub and shower, it’s important to inspect the edges to see what areas need to be caulked. Usually, the caulk will either be discolored or it will be wearing away. By edging the old caulk away and simply caulking these edges again, you can find that your caulked areas can look like new again. By replacing this caulk, you prevent some pretty nasty water damage in the future as well as polish up your bathroom and make it look new again. Every time you use your dryer, there’s a good chance that your vent can build up with debris and lint. If too much starts to build up, you can risk the chance of a fire. Believe it or not but cleaning a dryer vent is extremely easy. All you need to do is purchase a dryer cleaning brush kit on the market, follow the instructions and within minutes, you can have a brand new looking vent. It really is as simple as brushing along the vent inside and outside of your dryer, I promise! Every season, it’s important to change your HVAC filter. This filter is what’s going to help filter the debris that would have gone through your venting system. Filters cost less than $20 and can save you potentially thousands down the road. Looking at the furnace repair costs at Furnace Price Guides, you can’t afford to run the unit with a dirty filter! A filter on your HVAC system is relatively easy to find. All you have to do is spot the filter near the bottom of your furnace, pull it out and replace it with a new one. Before you buy one, though, just make sure that you’re buying the right size. All furnaces will vary. When you do place the filter back in, just make sure that it’s going with the air flow. There will usually be an arrow that shows you where to place it. Changing your filter regularly is just one of the items you should have on your HVAC maintenance checklist so you can keep your system in top shape. 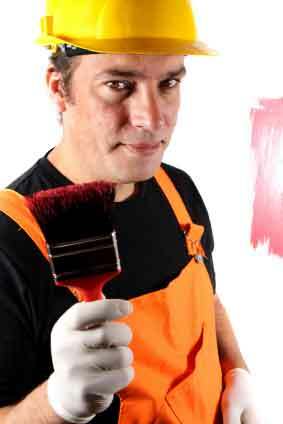 Whether you have peeling paint on your walls or the outside of your home, painting and replacing peels is very easy. While it can be time-consuming, it can save you the hassle of calling up a painting contractor. With a simple scraper and gallon paint, your walls or the outside of your home can look like new again. If you’re finding that you’re having gutters that just aren’t working the way they should or there is a buildup in your gutters, this is yet another job that can be fixed easily. Usually, the main culprit of clogged gutters or bad drainage is due to leaves, sticks and other debris building up in the gutters. By simply grabbing a ladder and using your hands, gutter cleaning couldn’t be easier. Do keep in mind, though, that if your roof is too high and you don’t want to take the chances, then you should probably leave it up to the pros. Toilets and faucets that leak occasionally aren’t going to fix themselves. In fact, the leak is just going to get worse. While a leaky faucet or toilet can be a scary thought, they are so easy to fix! In fact, some leaks can come down to a simple seal that cost less than $2 at your local hardware store. If you have a leak today, it’s so important that you fix it while it’s young so that it doesn’t cause more damage down the road. What Other Projects Are on Your List? 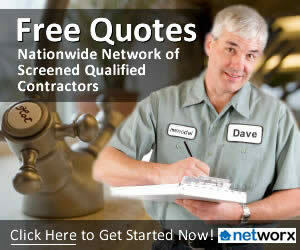 Do you have other projects you need to get done that can’t wait to hire a repairman? If so, share them below. Common Roof Repairs & The Estimate Cost to Fix Them!